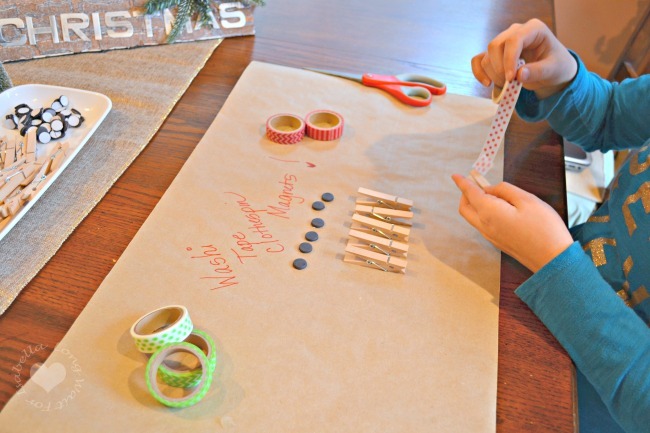 A very simple Christmas craft that the kids can help make are Washi Tape Clothespin Magnets. 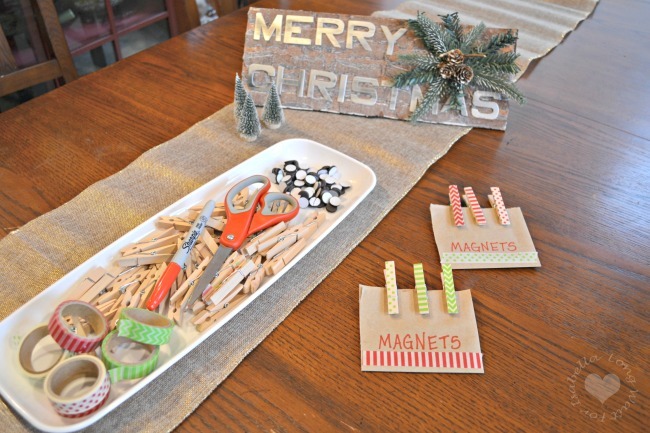 Very few supplies are needed, but once finished, these magnets make great Christmas gifts. 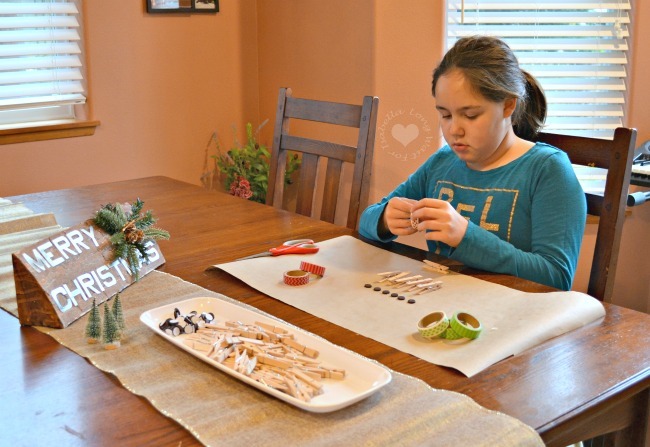 We loving doing easy Christmas crafts in our home. What’s great about these magnets is they can be used on the fridge to pin up your Christmas photos and cards. 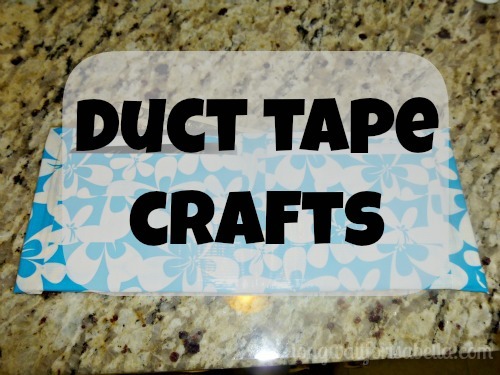 Thankfully, you can find all these items (and so much more) at Oriental Trading. 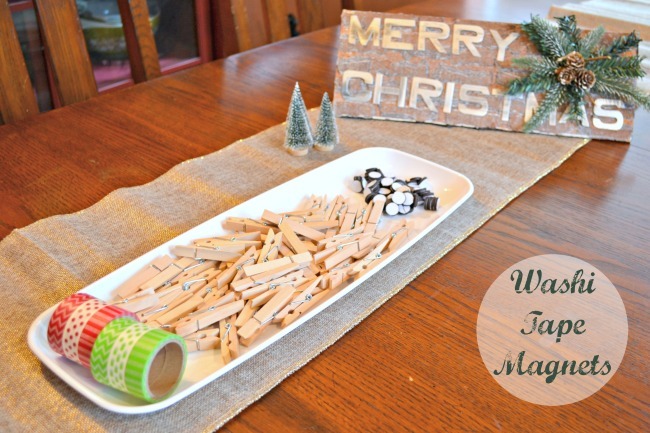 They have so many great Christmas craft ideas on that site. You MUST check it out. I let Isabella decorate her clothespins how she wanted. 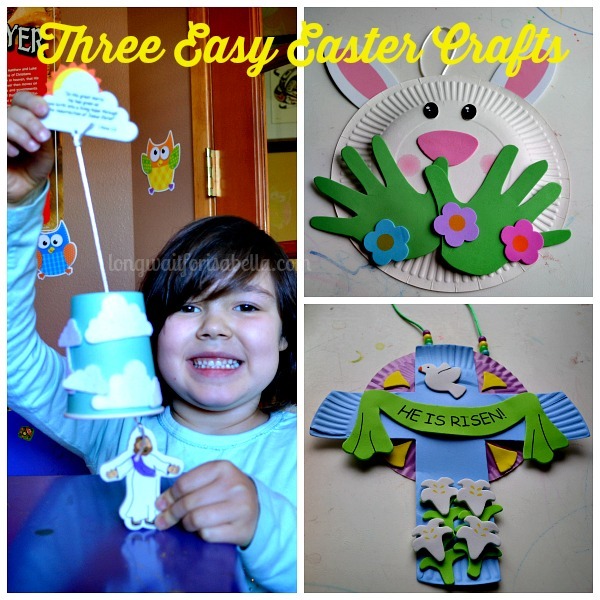 This is the kind of kids craft that she can easily do on her own. 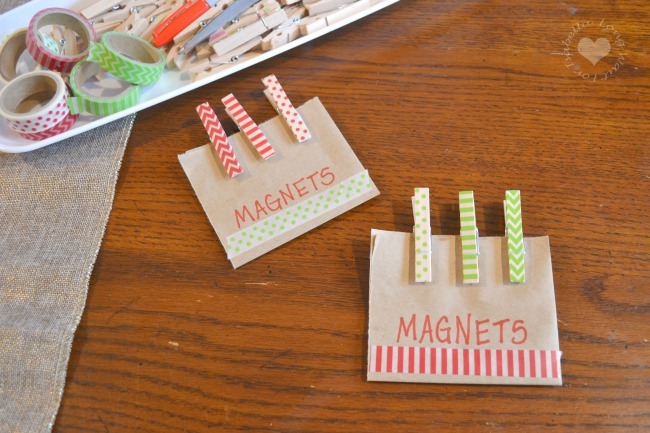 And she was happy to spend the time making these Washi Tape Clothespin Magnets for family gifts. 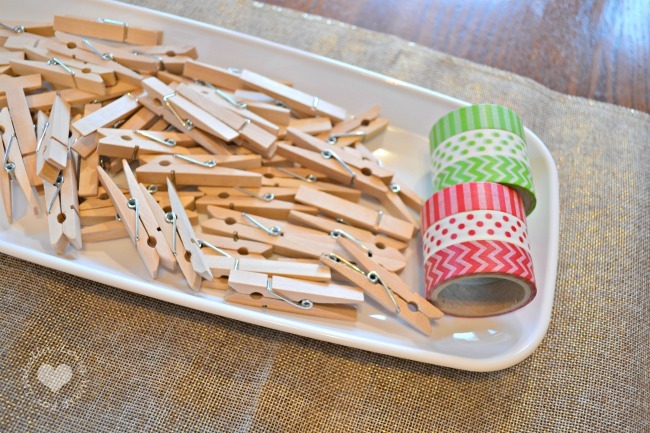 Just line up the clothespin on the washi tape and trim any excess. Do this for both sides and voila! Easy peasy, right? 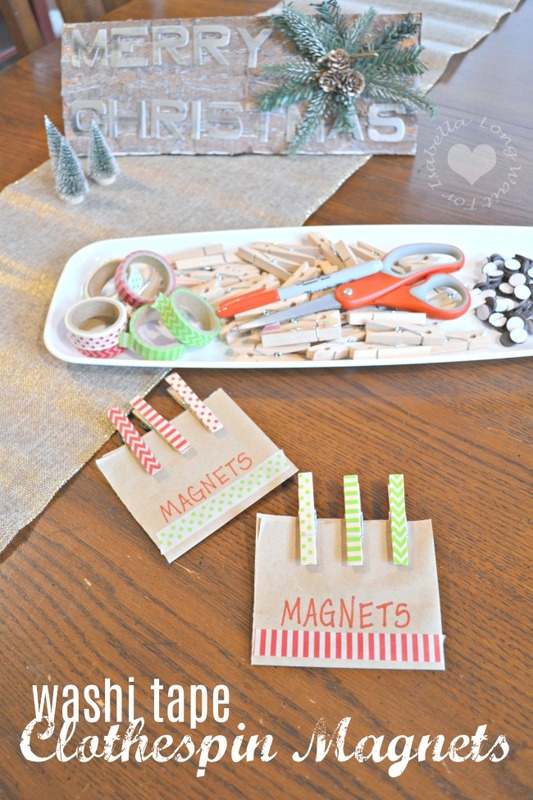 Does your family love making crafts for Christmas? If so, what kinds of crafts do you like to do? Disclosure: This is a sponsored post with Oriental Trading. All opinions are mine alone.